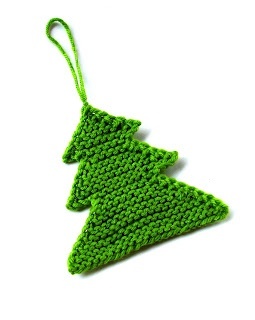 I knitted a bunch of these cute little tree ornaments last year. They are so quick and easy! They are also easy to mail, since they are small enough to fit into a holiday card envelope. They were truly so easy and fun. 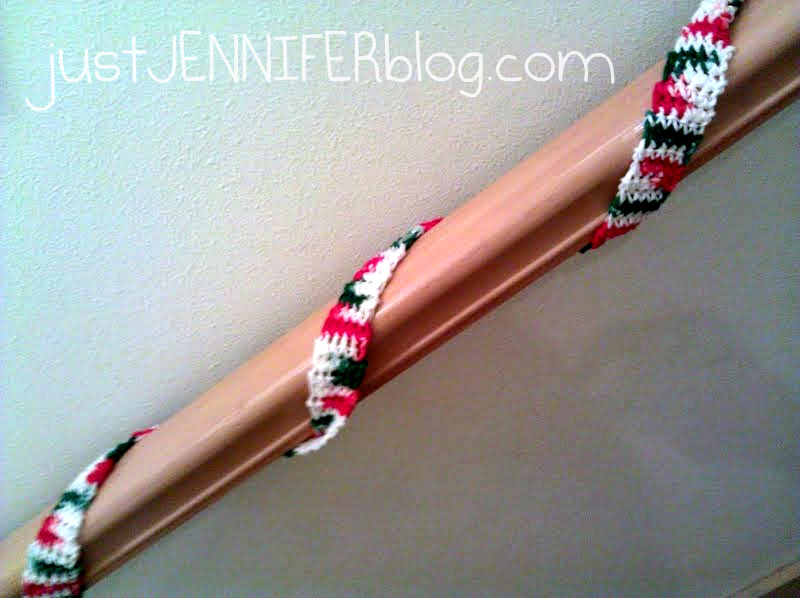 A couple other Christmas-y things I did with yarn last year was to crochet some garland for my banisters and a couple of little squares for candle jars to sit on. I would have done circles, but I had only just learned how to crochet. 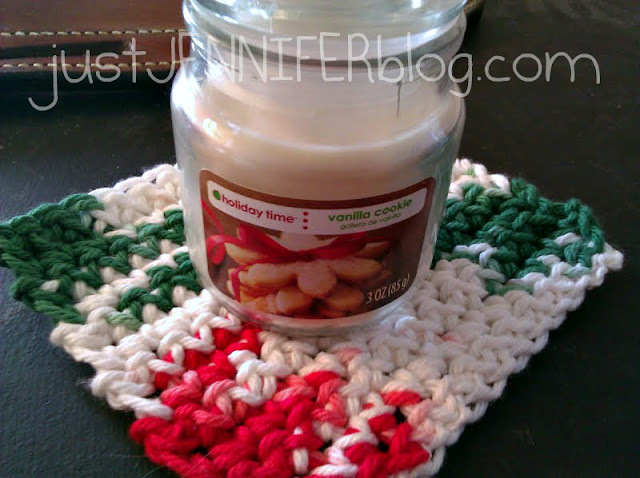 These are just a few simple ideas for using yarn to help deck your halls. There are many, many others out there. I highly recommend Ravelry for TONS of knit and crochet inspiration, whatever your skill level.